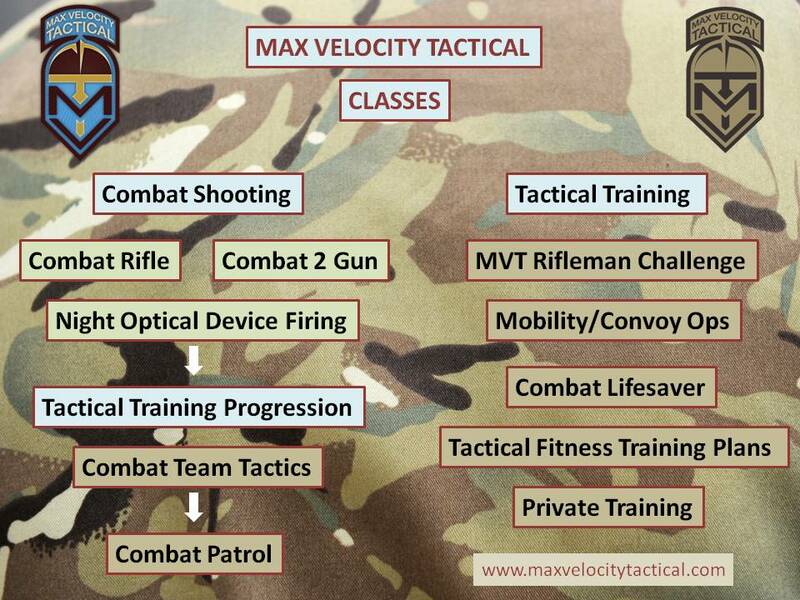 On June 5-7 we have a Combat Team Tactics (CTT) Class (Friday to Sunday). We have a Combat Rifle (CR) Class also running the same weekend, June 6-7 (Saturday/Sunday). We are getting close enough that bookings are starting to come in for that weekend. I have a student booked onto the CTT class that weekend who is going to be in the area until Wednesday the 1oth. He has requested some training for Monday-Wednesday after the CTT class. It occurred to me that it would not only be cheaper for him if we put on an open enrollment class, but also might be an opportunity to run some useful training. Additional Shooting – perhaps elements of Combat Rifle/Handgun for those that were on the CTT class. 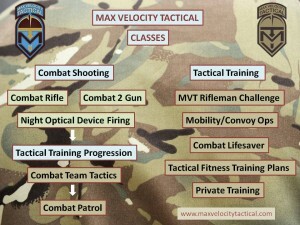 Tactical Fitness (optional) – including running the 2-Miler at site that is part of the MVT Rifleman Challenge. I realize that this is not ideal timing during the week. This training could follow on after the CTT/CR class that weekend if you are attending, or simply be standalone training. Please comment via email or in comments – clearly there are going to be many ideas on this but I want to get an idea of interest and what training people would find most useful. It is possible that, with enough students, we could run a couple of options, with Aaron running something and myself running another – but that depends if people have the time to show up on a Monday! A reminder that we also have the Hand 2 Hand Combat (H2H) weekend on June 19-21. NODF does not include navigation. It is a night shooting class. The combat patrol class involves night navigation, with or without NODs depending if you have them or not. If I’m going to lay on open enrollment training for those days it has to be something generic that most can participate in. Since Combat Lifesaver is currently nowhere on the schedule, it would be good to give consideration to offering it at that time. Yes, it’s not on the schedule because it wasn’t working as I had it on the Thursday before classes, as an option. Only a minority wanted it. However, I am working on something better, so depending on timelines, I may or may not include it during that 3 day package. How about adding a Combat Patrol class? Darn it, now you want to make it a 6 day combined …..that’s not actually a bad idea. Any takers? I do have another 6 day on the 26th June already…..
My recommendation is totally selfish. I know about the 26th session, but a niece scheduled a wedding that weekend and I have been informed by my logistics and supply officer that if I don’t make the wedding my supply chain is in grave jeoprady. Not directly related to this but I wish you were able to offer more courses (CTT) during the Monday through Friday period of the week. That’s always possible. I would prefer it because I get my weekends. However, I have seen no demand for it. You can always approach me with a group and have me put on a private class. I would really like to do a mid-week CTT because my weekends are usually so busy. I don’t have enough people for a private group but if anyone is interested in a mid-week CTT class you can contact me on the forum under the handle of Scout5412. I’m up for doing something on the June 8-10 time frame. Whatever your student wants to do during those days is fine with me if he/you need someone else.